June 27, 2017 April 15, 2019 - The 'Noms. This color changing cocktail is like science! So neat to see it change color! Check it out, and make it yourself! Back when we were kids and watching Bill Nye the Science Guy on TV, little did we know that some of those science experiments that we played about with would end up being useful when it comes to making drinks! Seeing some of the results felt like magic (especially when you are a kid!) Now that we are grown, we know it really was just the proper application of science! We saw a cocktail that slowly changed colors as the ice melted at one of our local cocktail bars. We then knew that we were going to have to spend a little time behind our bar figuring out how we could capture a little bit of that magic! 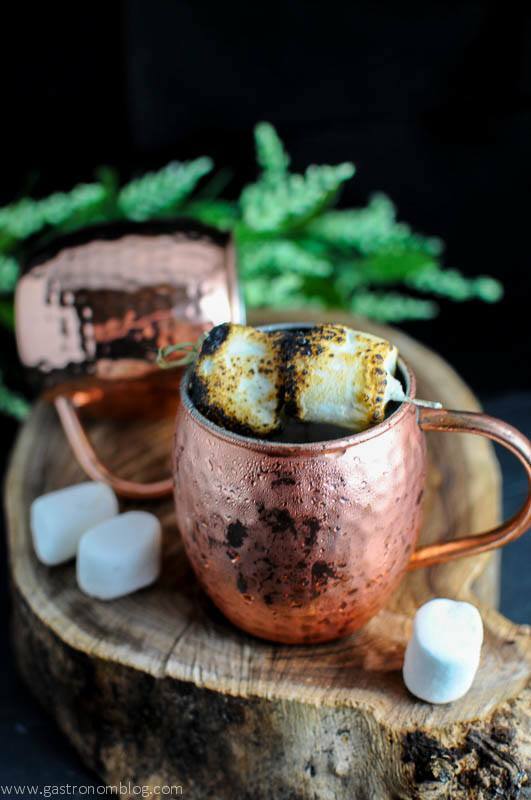 The result is our Galaxy Magic Mule, a classic Moscow Mule with a little bit of magic ice to bring a showy flair! This post contains sponsored content brought to you by JoyJolt Premium Glassware. We received these double wall mugs from JoyJolt to promote in this post, but all opinions and views presented here are 100% our own. This post contains affiliate links for products that we think you as readers might find useful, and we make commission off of these! For more details about our affiliates, click our Disclosure and Contacts Page. When you talk to great chefs and bartenders, you might hear a common theme about how we not only eat (or drink in our case) with our taste buds, but we also eat with our eyes! 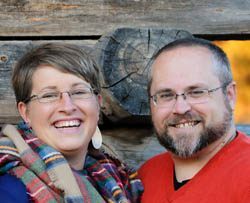 We were out with friends a few weeks ago and stopped in at one of the great local cocktail bars here in Omaha that are always trying to make something new and exciting. This particular evening, Mrs. Nom ordered a cocktail that came with a blue ice cube. It melted slowly changed the drink to a beautiful deep purple. The next day we started doing a little research about color changing cocktails. 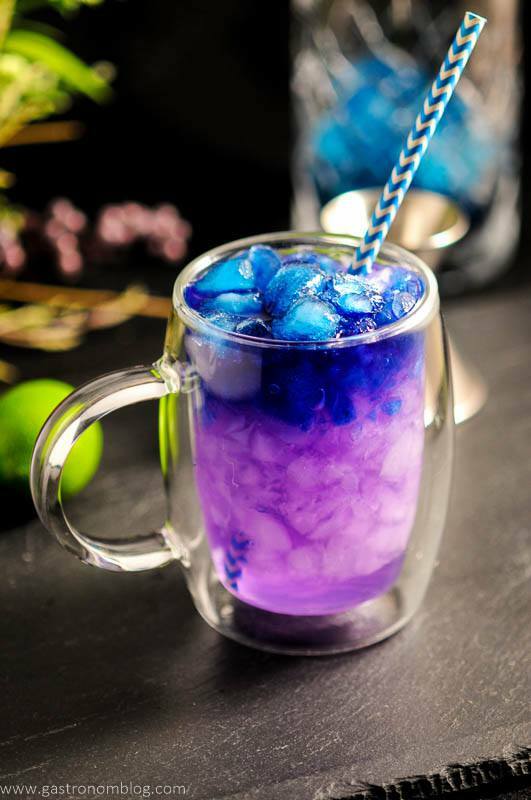 We discovered a whole trend of bartenders who were playing with the ingredient that was key to their success, the Butterfly Pea Flower! 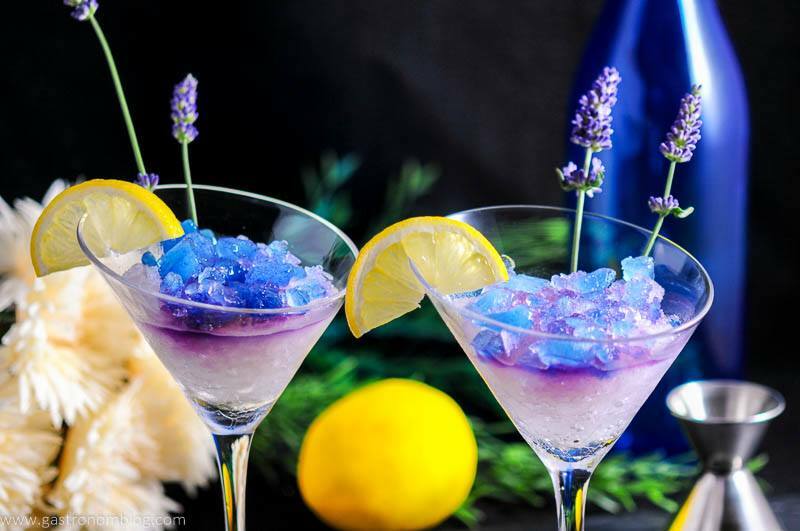 Interested in buying some Butterfly Pea Flower Tea to make this at home?Get it HERE! The Butterfly Pea Flower is found all across equatorial Asia, where it was used in traditional medicine and as a natural food coloring. 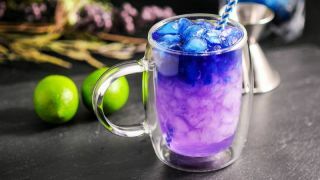 Prized for its deep blue color that it is able to impart to food, butterfly pea flower has one other very unique characteristic, it is a natural litmus strip! For those of you that might have dozed off in science class, a litmus strip is a chemically treated strip of paper that is used to determine the pH (acid or base) of a solution. In the case of the butterfly pea flower, when it is exposed to acidic liquids like citrus juice or carbonated water, it will turn purple. This reaction is the key to the magic! The reaction changes creating a colorful swirl of colors that looks like you are peering far into a galaxy! 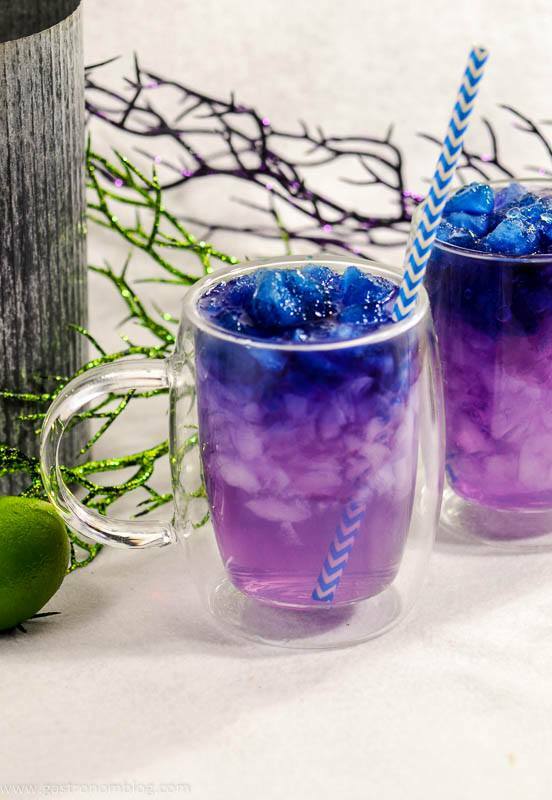 Speaking of Galaxy drinks, check out this awesome lemonade from our friends at The Flavor Bender! 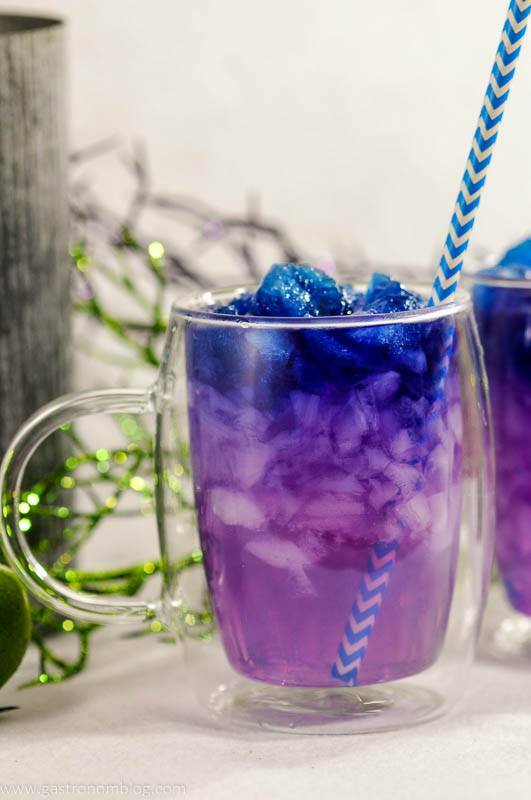 To make the Galaxy Magic Mule, we started out by brewing some Butterfly Pea Flower tea. This tea when brewed is a deep dark indigo color with a very mild (almost flavorless) tea flavor. We wanted to slow the chemical reaction down (when you add acid the reaction is really fast) so we froze the tea into cubes. Then this slows the reaction down significantly as it only reacts once the ice starts to melt. This results in the gorgeous gradient between blue and purple as the reaction starts to take place. What Ingredients are Needed for the Galaxy Moscow Mule? The primary ingredients of a Moscow Mule (lime, vodka and ginger beer) are all acidic to a various degree. 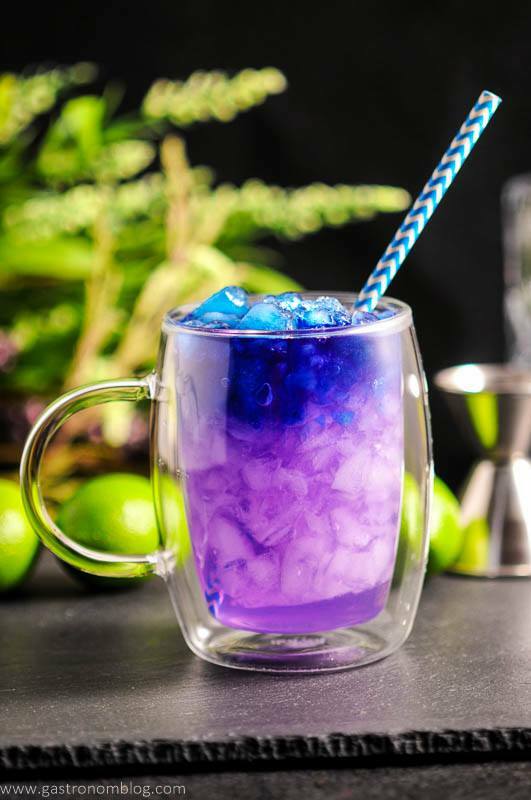 So, when we added the ingredients to the ice filled mugs, the color starts to change, creating a dramatic color changing cocktail! Normally we would serve a Moscow Mule in the traditional copper Moscow Mule mug. 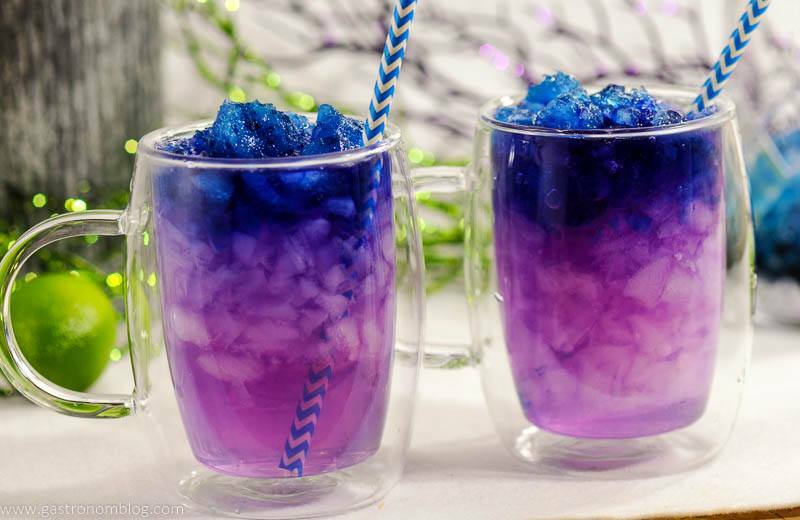 But, in this case, a spectacular color changing cocktail like this deserves to be shown off, so we used some of our glass double wall mugs from JoyJolt to serve these Galaxy Magic Mules! 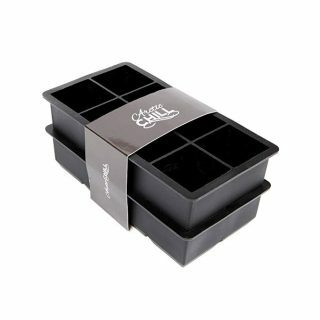 These mugs from JoyJolt are perfect for Mules or Coffee! 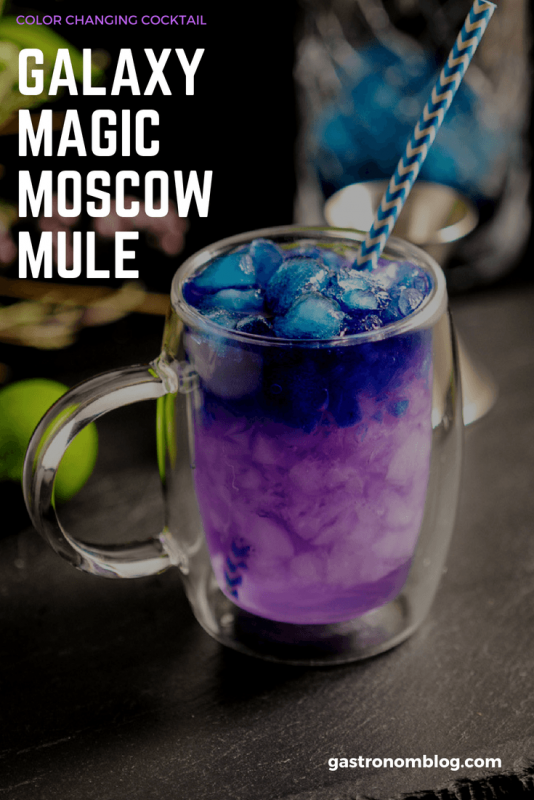 A color changing cocktail, a twist on the classic Moscow Mule, and so pretty! 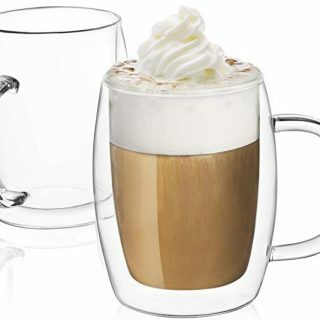 Partially fill the mug with crushed clear ice. Top with crushed Magic Blue Ice. Top with additional Magic Blue Ice. Add hot water to the Butterfly Pea Flowers. 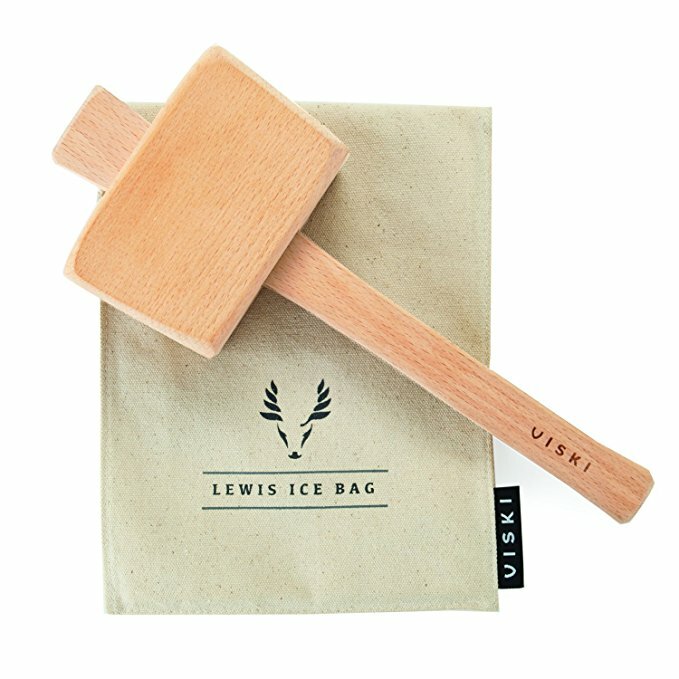 Crush ice and use in cocktail. 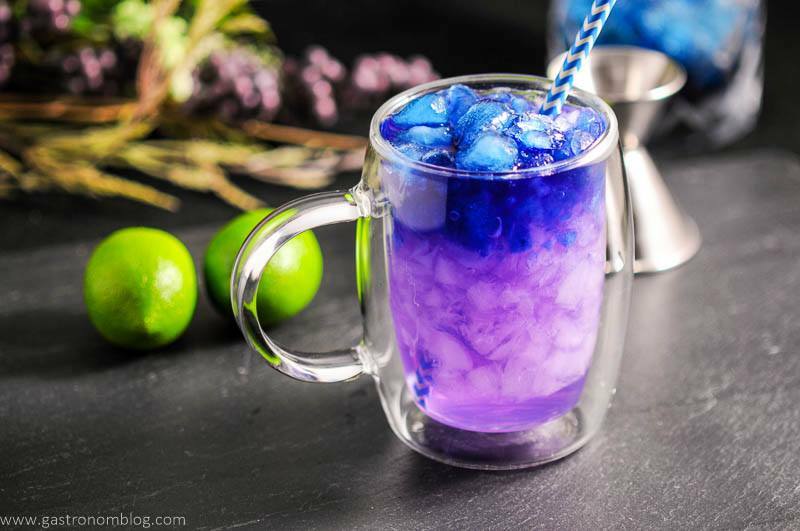 PIN THIS GALAXY MAGIC MULE RECIPE FOR LATER! I love Moscow mules and this is so cool! 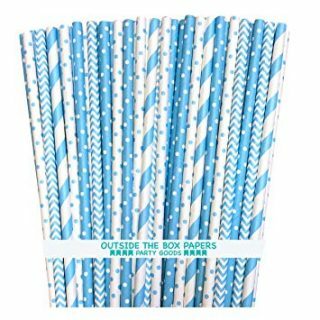 Definitely a great party drink! Thanks so much! It’s a show stopper for sure! What a pretty drink! I didn’t know you could make mules with vodka. I’m adding this to my drinks to try. Thanks much! Moscow mules are always with vodka. There are also rum mules, whiskey mules or gin mules. Hope you try it out! This is seriously the coolest! And I love that the beautiful color comes from a natural ingredient. 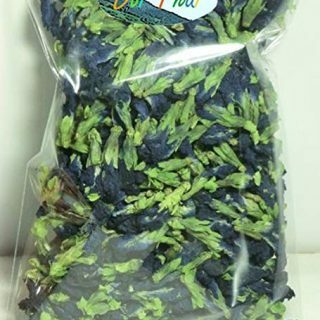 I will definitely be trying some butterfly pea flower for my next colored cooking experiment! Thanks! We had a lot of fun with experimenting! I want this drink now!!! Looks so yum!!! Moscow Mules are one of my favorite drinks, and now it is even prettier! I want to buy some Butterfly Pea Flower Tea now! Mine, too! We had so much fun with the blue color of the tea! Yum! Thanks for another great idea! Thanks! We had fun with this one! Oh my word! This cocktail is calling my name! How fun! I’ve never heard of magic ice! Such fun colors. I love Moscow mules and now I just have to find some magic ice!! Beautiful photos! Thanks! We had a lot of fun with the blue tea! Cheers! We got ours on Amazon, and there is a link right here on the blog post for some! Hope you try it out! Thanks so much! Nope, not too pretty, just right, LOL! Cheers! This looks so awesome! I went to a local tiki bar that served a drink with butterfly pea flower! Thanks so much! We loved the cocktail we had which inspired this as well too! So much fun! This drink looks like so much fun! I love the colors! This has got to be the most amazing cocktail I’ve ever seen! I so need to get some Butterfly Pea Flower Tea!! Thanks so much, it was a lot of fun to play around with! Hope you try it out! Thanks, hope you do, they are a lot of fun! Cheers! This looks so fun! I love Moscow mules. This drink is so pretty! Definitely giving it a try! This would be such a hit at any gathering! I love it! Thanks so much! We thought so, too! Cheers! Wow! So cool! I’d like to try making this for our Eclipse Party. Do you think you could do it in a big batch or does it need to be single servings? 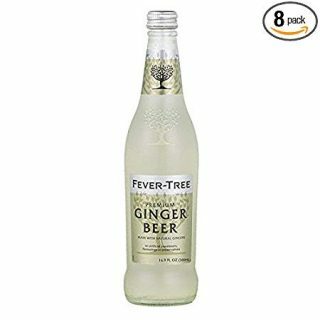 I think you could do a big batch, just not to add in the ginger beer until you are ready to serve. Or maybe have bigger ice chunks, so it slows the color changing if you add the ginger beer? Let us know how it goes, we haven’t made a big batch, so we would love to know! Good luck!